Fred Talks build on Cleveland Foundation founder Frederick Harris Goff’s legacy of innovative thinking by inviting community members to learn, engage with one another, and champion new ideas in conversations with local and national thought leaders. Each free event features a thought-provoking conversation, public Q&A session, and community dialogues that empower attendees to become Greater Cleveland’s next champions for change. Cleveland Public Theatre – 5 p.m.
Stokes: Honoring the Past, Inspiring the Future is a yearlong, community-wide commemoration of the 50th anniversary of Carl Stokes’ election as mayor of Cleveland. 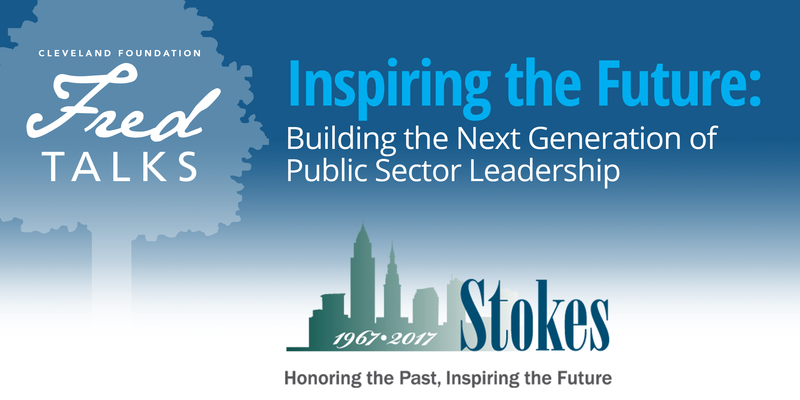 Mayor Stokes and his brother, Congressman Louis Stokes, played key roles in the advancement of the city and the nation through the civil rights movement and beyond. In many ways, Cleveland’s current national and international recognition owes a debt of thanks for their accomplishments. The commemoration will address a wide spectrum of issues through various events and activities during the year, including hosted policy forums to plot a future course in Cleveland that continues to address housing, education, health care, public safety and the economy. The Stokes commemoration is being led by Tri-C’s Jack, Joseph and Morton Mandel Humanities Center, the Maltz Museum of Jewish Heritage, Western Reserve Historical Society, Cleveland Foundation, Greater Cleveland Partnership, Commission on Economic Inclusion and The City Club of Cleveland. In total, the project includes more than 60 community partners. For 25 years, the Cleveland Foundation has worked with our donors to enhance the lives of residents in Lake and Geauga counties, providing more than $32.8 million in grants. In December 2015, our board of directors reiterated our commitment to Lake and Geauga counties by approving an enhanced process for grantmaking across our entire three-county footprint. 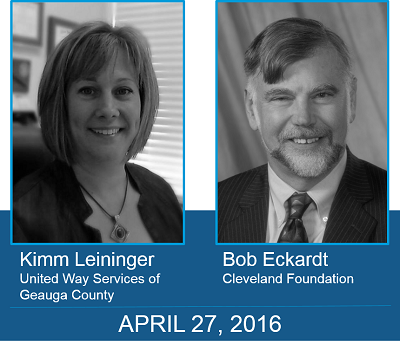 On April 21 and April 27, we hosted conversations about our promising future in Lake and Geauga counties. At these talks, we shared information about our longstanding support and future grantmaking plans in Lake and Geauga counties, and we heard from attendees about the unique priorities and needs in these communities. The Cleveland Foundation and PNC are excited to invite you to join us for “Greater University Circle Initiative: A Decade Defined,” a very special 10th anniversary celebration that recognizes a decade of work by the Greater University Circle Initiative, an unprecedented collaboration among Cleveland’s leading anchor institutions, local philanthropies, financial institutions, community groups, residents and the city of Cleveland, that seeks to connect surrounding neighborhoods with the city’s cultural epicenter to create a vibrant and inclusive urban core. Phillip Henderson, President of the Surdna Foundation and a leader in the nationwide anchor-institution movement, will present a special Fred Talk on trends in the national anchor-institution space and how this movement is fostering sustainable communities throughout the country. This will be followed by an expert panel of leaders from Greater University Circle’s anchor institutions, moderated by PNC’s Paul Clark. Attendees will also have a unique opportunity to join community leaders and residents to imagine how the Greater University Circle community can continue to “Live Local, Work Local, Buy Local, and Thrive Local” in the next decade as a part of our Big Idea community visioning discussion, led by Neighborhood Connections. 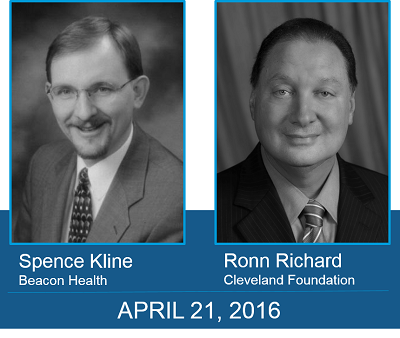 The Cleveland Foundation is excited to announce the next event in our quarterly Fred Talks series. “How to Build a Digital Economy in Cleveland” will explore the challenges and opportunities to develop a strong information and communications technology ecosystem in Greater Cleveland as an engine for economic and resident growth. The next wave in the IT revolution, the Internet-of-everything wave, is imminent. In order to remain competitive, our region must support IT infrastructure, development and commercialization efforts that connect today and tomorrow’s workforce with the digital revolution. The City Club’s Dan Moulthrop will moderate this Fred Talk, which will feature expert insights from panelists Deb Socia, Executive Director of Next Century Cities, Lev Gonick, co-founder and Chief Executive Officer of OneCommunity, and Shilpa Kedar, Cleveland Foundation Program Director for Economic Development. Come talk – and think – with us. Join us as we explore Encore Cleveland, an exciting new initiative from the Cleveland Foundation that channels the time, energy and talents of Greater Clevelanders 50+ into solving community challenges and filling unmet needs. By attending this AARP Ohio sponsored event, you’ll learn how you can receive support to start a small business, volunteer to improve the literacy rates of local elementary school students, get paid to lend your talents to area non-profits…and that’s just to name a few! Fred Talks: Encore Cleveland – Define Your Next Chapter welcomes its host, Cleveland broadcast legend Fred Griffith, and features special guest Marci Alboher, author of The Encore Career Handbook, in conversation with Cleveland Foundation Executive Vice President Bob Eckardt and Encore Cleveland volunteer Larry Jemison. This exciting conversation will give first-hand advice on how to develop your own plan for your Encore years. The conversation will be followed by the Experience Match Fair, a unique learning experience for Clevelanders 50 and over to discover Encore opportunities in Cleveland. Attendees will receive a free lunch during the event and free admission to the Cleveland Metroparks Zoo following the event. The Cleveland Foundation is continuing its Fred Talks series in 2015 with our first event of the year, Fred Talks: Arts + Kids = Growing Up Great. This event will delve into the benefits of deep-immersion arts programs and the potential they hold for youth development in Cleveland. Among all the arts education activities available to young people, studies show that mastery-focused practice of an art form has the best chance to impact a child’s development. Research also suggests that the greatest indicator of arts participation in adults is the opportunity to have had high quality art experiences as a child. The City Club’s Dan Moulthrop will moderate this Fred Talk, which will feature national expert Eric Booth, performer, teacher and author of The Music Teaching Artist’s Bible, Darnell Weaver, Rainey Institute teaching artist, and Kathleen Cerveny, the foundation’s Director of Institutional Learning and Arts Initiatives. We invite you to join us as we discover the benefits of arts immersion programs, understand the effect they can have on communities, learn the qualities they must cultivate to succeed, and discuss Cleveland’s unique opportunities to help grow this field in our community. The El Sistema@Rainey Orchestra will perform their monthly concert that evening beginning at 5:15 p.m. Fred Talks attendees are welcome to attend. The first event in the Fred Talks series, Fred Talks – E³: Education, Economic Development, Empowerment, was developed in partnership with the City Club of Cleveland and PNC. It will explore strategies to connect Greater Cleveland students with real-world work experiences in our community that better prepare them to be part of tomorrow’s workforce. Anne Stanton, Program Director at The James Irvine Foundation and head of Linked Learning, an established, career-based learning program in California, will discuss benchmarks and lessons learned in the program’s development. Growing from a few schools to a statewide coalition recently awarded a $250 million infusion of state funds to continue its implementation across California, Linked Learning is one of the nation’s leading models for connecting students to the current and future workforce. 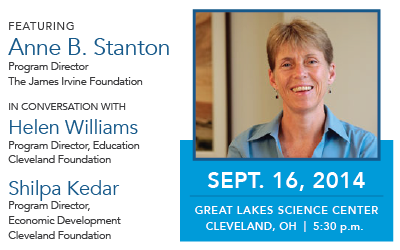 This conversation with Cleveland Foundation thought leaders Helen Williams, Program Director for Education, and Shilpa Kedar, Program Director for Economic Development, will focus on the potential for developing new approaches to career technical education in our region.